I don't archive much. Basically, I bind my monthly and weekly pages into a binder clip each year and toss them into a decorative box. 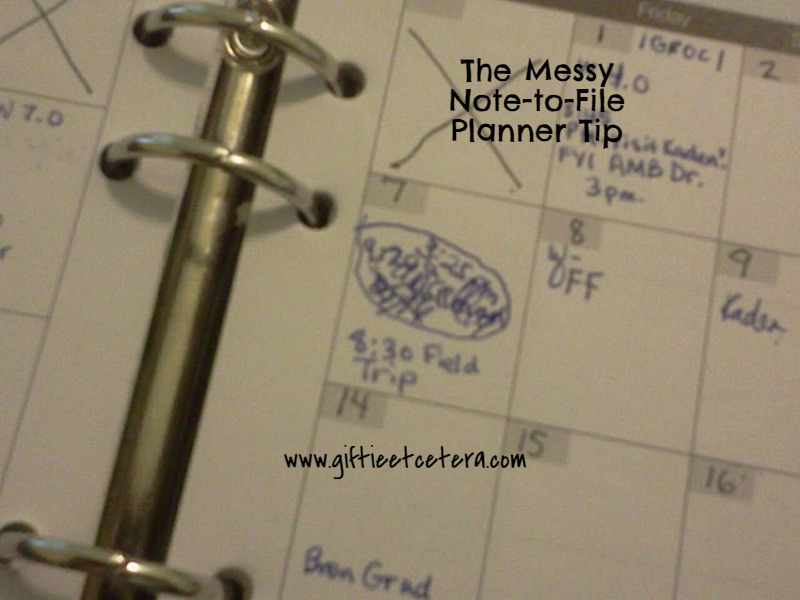 But that casual attitude toward archiving doesn't mean that archiving or filing away old planner entries is useless. I go back to those entries a lot. Sometimes, I reread them for fun. More often, I need to prove that I did something (like paid a bill, canceled an appointment, or took a continuing education class). For information that I might need to find later, I like it to jump off of the page for me. But I struggle with that because I color in entire entries with highlighter as a normal practice, so I end up not having a way to make them look different. In response to that problem, I've implemented what I call the messy note-to-file planner technique. I simply write the details (DONE, date, time, notes) right OVER the original entry. It's messy, but readable, and the entries now jump out at me because they are messier than anything else on the page. Where do you write your note-to-file information?